You know, there's times to be subdued and subtle. Then there's times to be over-the-top and way loud and crazy. 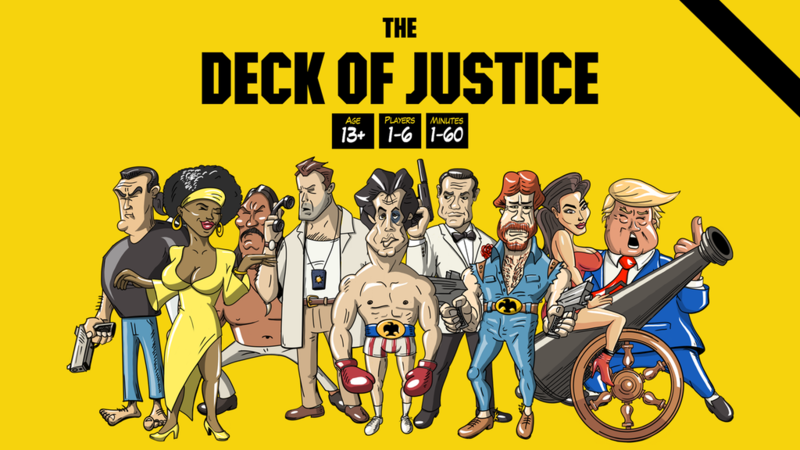 Deck of Justice is a time where you're over-the-top and loud and crazy. It's a new card game that's up on Kickstarter where you and your opponent fight it out in ridiculously contrived fights until only one is left standing. It is basically a parody of all the (weird) stuff we love about Japanese cartoon...with a Tarantino-ish homage style to the 70s (and 80s)...encapsulated in an outrageously fast-paced & novel (with a touch of retro) game mechanics. The Kickstarter is up and running now. It's set to go for another 58 days.